The #clmooc Summer Camp ends. Always, we don’t want the fun to end, and we don’t want to say Good-byes. But we know the day is coming for hugs and moving on. Moving on, rather than letting go, means to carry this experience on. So what will you continue? What will you build on? What will you build? One of my goals is to build a place of options for my students — alternatives to the daily grind to inspire their passions, to expect them to add to the “bank,” and to bring joy back into the classroom. The journey in the making, in the learning, in the doing is as important as the stated goal and the final product. I love how Paul Oh and others refer to “planning for the possible” in Tuesday’s hangout chat. Terry Elliot frequently reminds of the “emergent possible” (DML YouTube), the learning that emerges because it’s needed but not planned for. These are what I see in the classroom every day — each student gleaning what s/he needs and more, and often in spite of the stated objective. 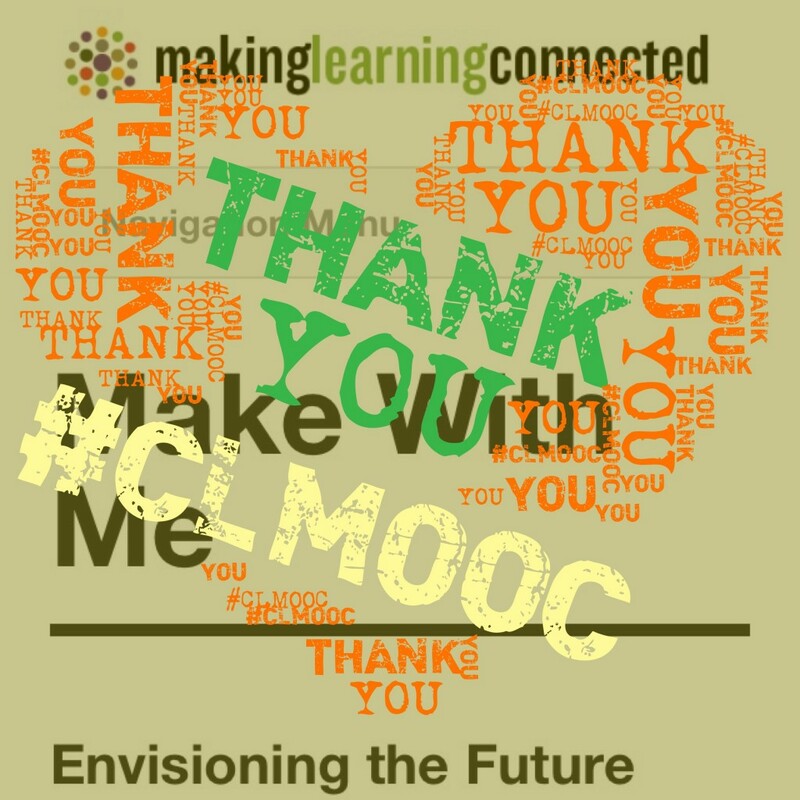 So like the facilitators and participants in the #clmooc experienced, this learning together, learning in conversation, and learning different skills in different ways, I hope to do more of in my classroom. I have projects to continue and mandates to manage, but I want more for my students, an opportunity to experience the joy of choosing and learning together or independently on their own interests or their own options. I’ve started Connect2Learn (which I’ve written about here in a curation piece) to be a place for my students and I to create “makes” that fit our requirements and our passions, but by providing options that “plan for the possible rather than the outcome.” as Paul Oh considered in the chat. 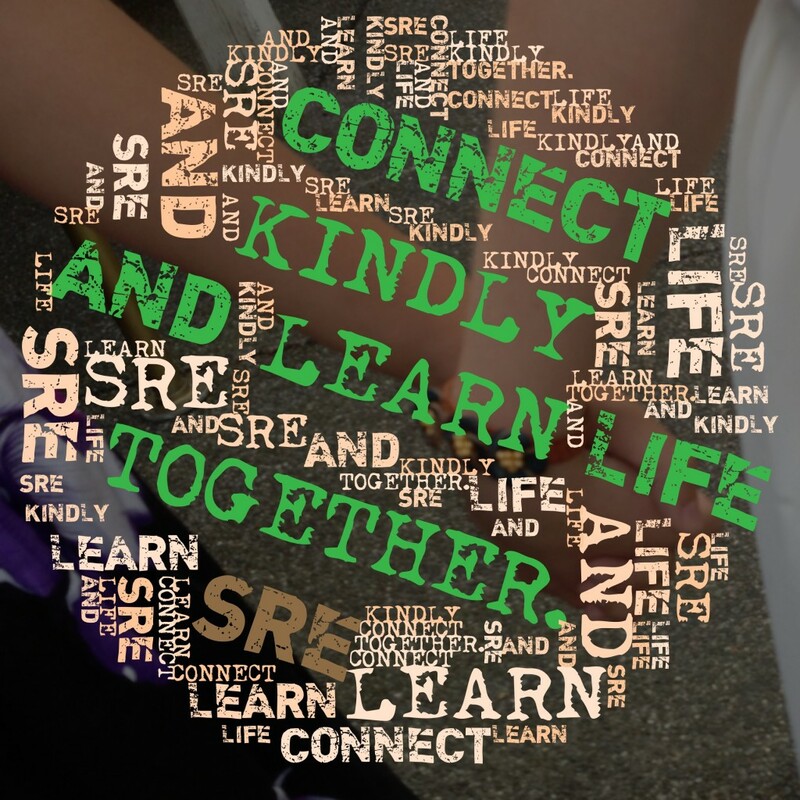 It is a place designed for you, as well, to join in and contribute to stay connected and to connect students together. All who stop by may join in creating and sharing “makes” from all that is possible. Connect2Learn and this blog are viewpoints and interpretive centers, for travelers in their learning journey. Our individual and group communities are places to sign in and participate to learn, gather and share ideas, and move on to share with others. We are connected learners traveling for ourselves and to make our communities better. The Make Six of #clmooc asks us, “Where are we going? 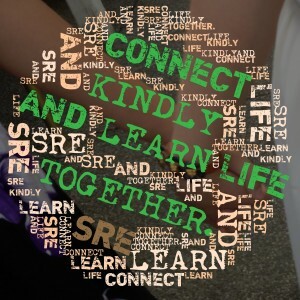 How will we stay connected?” I hope to stay connected through this blog, Connect2Learn, Beyond Cycle 6 in the #clmooc G+ community, following up with Stephanie West-Puckett’s CL Planning. Will add your make partners to you blogroll? twitter feed? 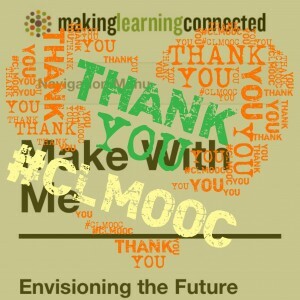 Will you start or continue a #clmooc chat? Will you post to the Beyond Cycle 6 in the #clmooc G+ community? Will you create a cooperative/collaborate blog like Cooperative Catalyst or Wordsmith Agora? Will you join Connect2Learn to continue making, connecting with teachers and students? Will you join Youth Voices, Paul Allison’s successful platform to allow students to express themselves? Will you add to Digital Is as Chad Sansing has? Will you build a community like Youth Voices, or Connect2Learn for your situation? Will you create a Genius Hour / Google 20% Time within your class or school? Will you review the curation at Learnist and blog about it?